Match Billion started as an online system used by few close friends who were fascinated by the billions being distributed by Powerball. Many of us could not afford to purchase even a single ticket as they are expensive plus there are major logistics involved. We all wanted to participate and have fun, so we built ourselves a similar system to that of real USA Powerball. The experience was quite entertaining but we are still waiting for one of us to get the bragging rights about winning the Jackpot + 2 BTC. In late January 2019, one post by a teenager caught the attention of one of our buddies. There was no better way to play in a transparent manner and that’s how Match Billion was reborn with crypto in mind. We pitched the idea to satooshifan2k199 and he loved it. We were lucky to be included in the free MBL from him like some others. Now we are on a journey to share the fun with the rest of the world. Join today to play. Never know you could be the first one to hit the global jackpot + 2 BTC ! Everyone certainly knows this game, because indeed this is a very fun game and not a new game for those of us who are already playing gambling, maybe we all know more about Powerball games. You can see a huge jackpot and everyone has a chance to win it. Match Billion comes with an extraordinary update. designed more easily and uses better technology. Match Billion presents Powerball games more fun with cryptocurrency and blockchain technology. the use of blockchain technology certainly makes the Match Billion Powerball game more transparent. It must be remembered that only MDL hodlers token can participate in the game, those who do not have MDL tokens cannot play. Blockchain makes it simple! Transparency cannot be better. If your five white digit selection matches exactly then you are our next millionaire! Match all 5 white numbers, you are guaranteed to win 1 million MBL + 10 Ethereum. There are ten Match 5 awards with 100 Ethereum (10X10 ETH) available for distribution. You need 2 MBL tokens per play. Select five numbers from 1 to 69 for the white balls; then select one number from 1 to 26 for the red ball. 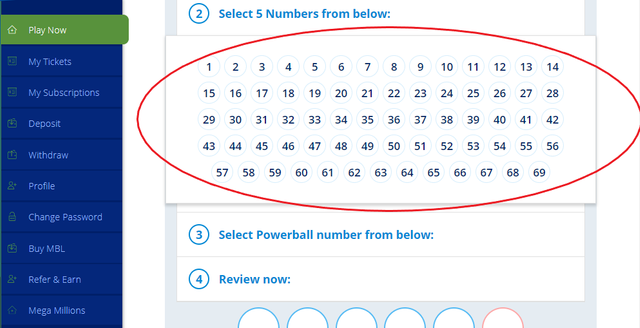 Choose your numbers on the screen or let the website randomly pick your numbers. You get a blockchain proof of your ticket. Jackpots start at 40 million and grow from there! Players win a prize by matching one of the 9 Ways to Win. Add Power Play with your game! For an additional 1 MBL token per play, the Power Play feature can multiply non-jackpot prizes by 2, 3, 4, 5 or 10 times! 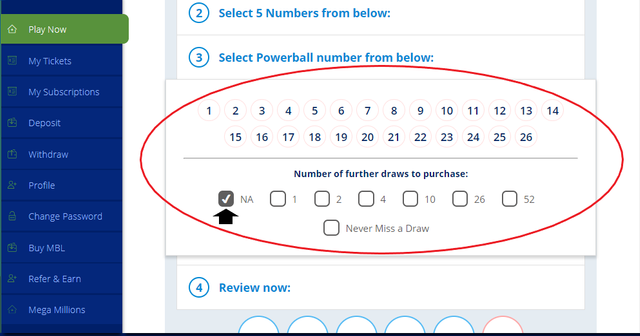 The multiplier number is randomly selected just before each drawing at https://www.powerball.com/. As a fan site, we do not draw any winning numbers. The 10X multiplier is only in play when the advertised jackpot is 150 million MBL tokens or less. The Match 5 prize with Power Play is always 2 million MBL tokens. Select your number on the screen or let the website randomly choose your number. You get your blockchain ticket proof. anda bisa melihat nomer pilihan anda di review dan juga bisa menambahkan Power Play untuk menggandakan jumlah taruhan yang bisa kita dapatkan diluar jackpot. Never seen before. Easy and simple to win. Match Billion uses actual Powerball drawings to determine winners. The line of digits in jackpot is sure to make you dizzy! All you need to do is to guess few numbers and if there is a match, the prize is yours. If your five white digit selection matches exactly, then you are our next millionaire! Love what you do and have fun winning millions. We’ve decided to take what’s best in Powerball and Mega Millions to provide you futuristic and outstanding fun experience! Sign-up and get 20MBL to play! Bonus MBL need to be spent at the platform for playing. Because only members who have MDL tokens can play in Match Billion, members who do not have an MDL token can buy it directly on the Match Billion website. Based on information from the group admin, MDL tokens are now available on their website. but for the future he said we can get MDL tokens on the cryptocurrency market. Then what about those who don’t have capital? just now for now the development team of Match Billion is holding Airdrop for their new users. like being given capital at the beginning, new users can immediately play in Match Billion without having to make a deposit first. for airdrop rules you can see it on this page. 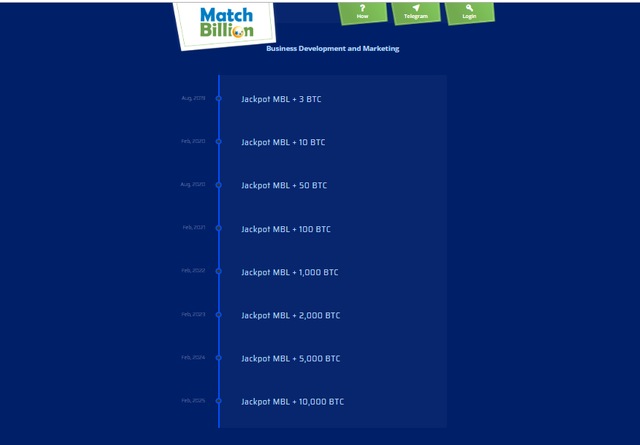 When I saw the roadmap from Match Billion, I was a little surprised because they kept giving me big jackpot bonuses for members who wanted to join. The jackpot is given and all participants and players can get various events. what is interesting is the provision of jackpots not only for BTC or ETH, but they also provide jackpots in the form of MDL tokens. It is inconceivable if you get a global jackpot from Match Billion? there’s nothing wrong with trying to play, it’s very fun.